Today I'm stepping out of my comfort zone and mixing things up on the blog! For a while I have wanted to work some makeup into my posts and I thought that this would be a fun way to do that. 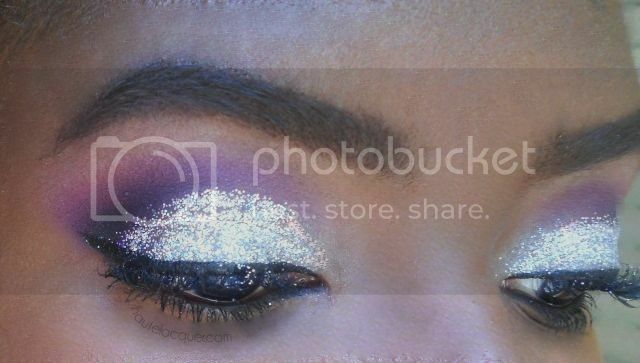 For the first look--the purple look--I started with the crease (I used the purples first then black to darken it) and then applied a silver shimmer eyeshadow to the lid. I used the BA Star Holo Silver Glitter along with the Glue Liquid Base to help adhere it. Surprisingly, the glitter application went smoothly. This was my first time using glitter on my eyes and it was a success! I used the glue applicator to apply the glue but I used a flat shader brush to apply the glitter. My only issue with the glue is that the applicator must be dabbed. That makes it very difficult to get a smooth, even application. I had to use my fingers to smooth it down and make sure it wasn't too thick. 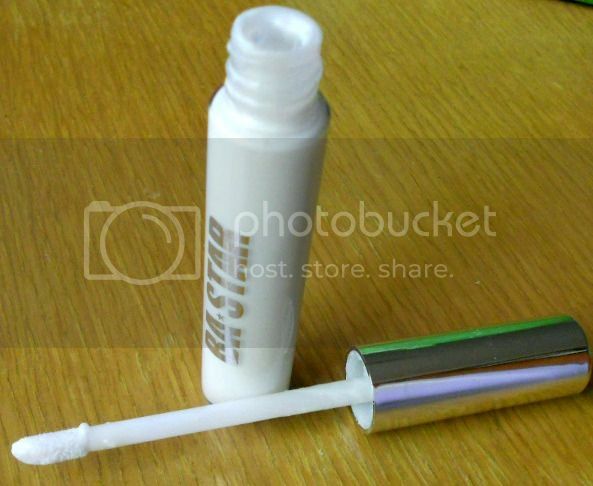 If the applicator had a small brush instead that would be so much easier to use. All applicator issues aside, I actually really liked this look! The glitter is holographic so it gives it an interesting look. The holo shows a lot stronger in real life. 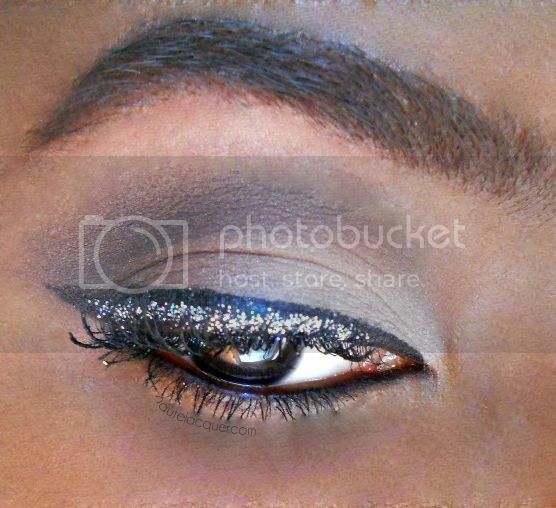 My second look was this neutral eye with a glitter/black winged liner. My mom loved this one lol! This look is a lot more wearable and something I would actually wear during the day. For the eyeshadow I started with a light beige base then used a medium and dark brown matte in the crease. 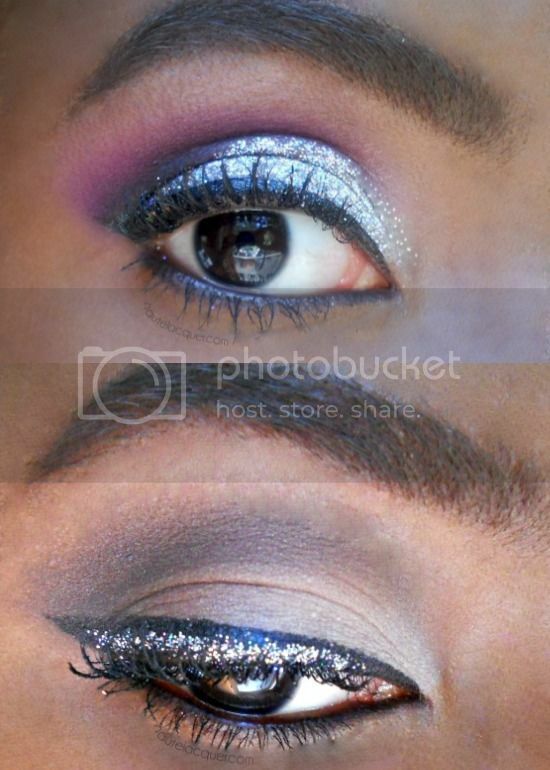 I used the same glue/glitter combo for the liner except this time I used an angled brush to apply both. Overall, I really liked this glitter. I keep it pretty basic with my makeup so this isn't something I'm likely to wear everyday. 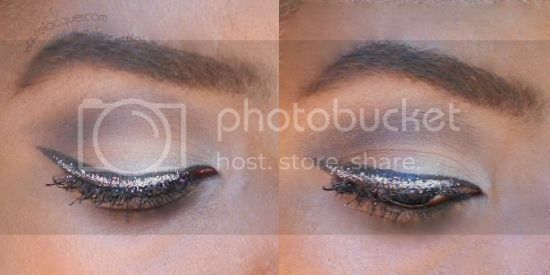 I love the idea of using little pops of glitter (like my second look) though. 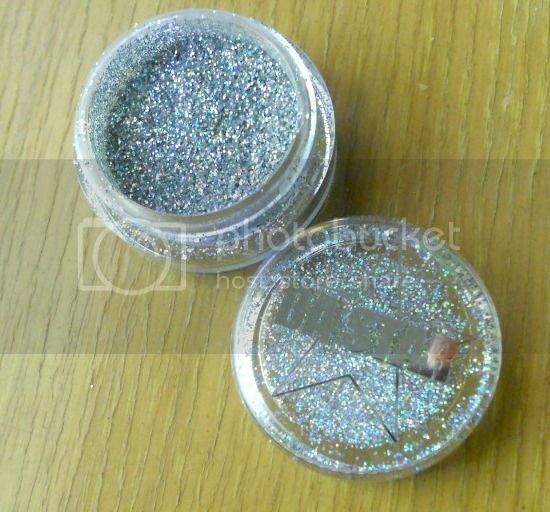 I would recommend this glitter for sure, but I'd also advise you to use your own adhesive as this one can be a pain to apply. You can also find BA Star on Twitter. Thank you for taking the time to read my blog and leave a comment. I read all comments and reply to any questions or requests you have! Please email me if you would like me to check out your blog. This work, including pictures, by Haute Lacquer is licensed under a Creative Commons Attribution-Noncommercial-No Derivative Works 3.0 United States License . Blog header and overall design created by me, all non-blogger fonts downloaded from fontspace.com. Powered by Blogger.